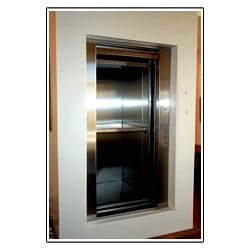 Leading Manufacturer of goods lifts from Ghaziabad. We are one of the prominent manufacturers and suppliers of a wide range of products and in this range we are offering quality Goods Lifts. The offered range has been fabricated by our expert professionals. Developed with utmost precision, this lift range is of quality features and is available with us at comprehensive price range.